The Berry Schools enclose a receipt for a purchase of Sunshine articles to Mrs. Maulsby. 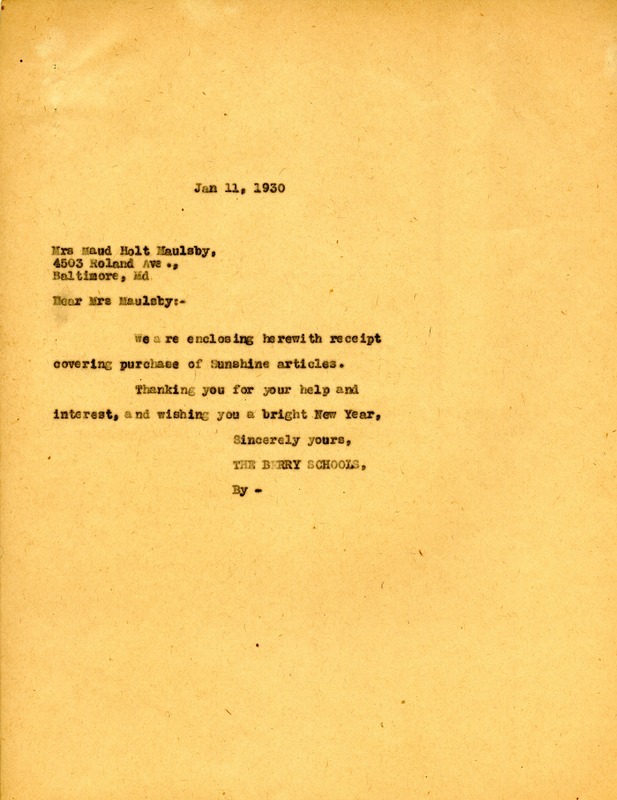 Berry Schools, “Letter from The Berry Schools to Mrs. Maulsby.” Martha Berry Digital Archive. Eds. Schlitz, Stephanie A., Christy Snider, Angela McCavera, et al. Mount Berry: Berry College, 2013. accessed April 22, 2019, https://mbda.berry.edu/items/show/13377.